a. Complete the triangle. b. Sketch the new triangle on the grid on your worksheet. 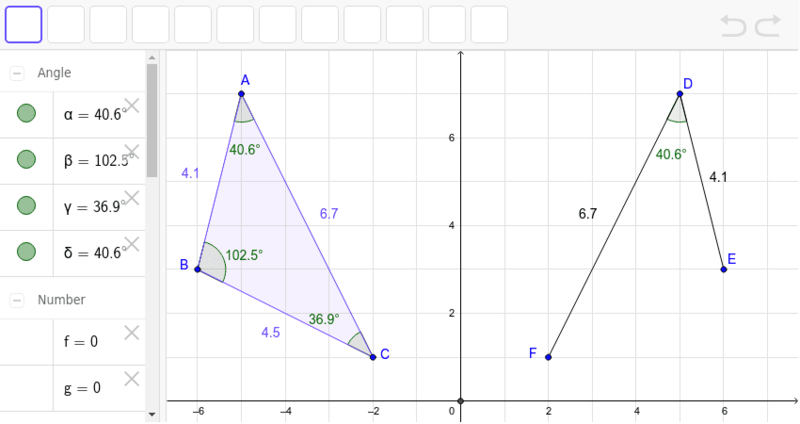 c. Use one of the transformation tools to map the original onto the new triangle. d. Write a mapping rule and state, in words, which transformation(s) you used.